When life hands you lemons make lemonade because you won’t be able to make lemon squares this good! People always ask me my favorite products and this tasty treat is one of them. The Lemon Square actually specializes in making some of the very best Lemon Squares! Case closed! 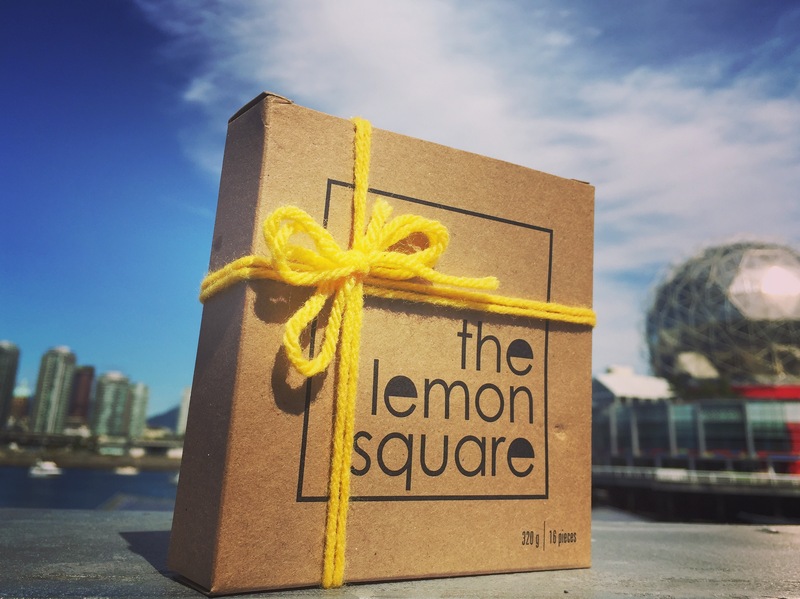 Just a little lemon goodness taking over Vancouver! They are made with lemony, coconutty goodness, and are for sure a crowd pleaser. You’ll find them scattered around cafes and stores in the lower mainland, on SPUD, Granville Island or you can order online, use code OVER100 for free shipping on orders over $100.